This is going to date me, do you remember a video game in the mid-eighties called, “Elite”? It was one of the first games to employ 3D wire graphics and gave the player seven galaxies to explore. You did not have a set plot, you just had to achieve the top rank of ‘elite’. You did so by trading goods and fighting other ships like pirates or other traders. There was the odd mission too. One of the cards and what each section means. If you do remember this game it will be with fondness and many a long night trying to achieve the aforementioned rank. I never did. I got as far as ‘deadly’ (one down from elite). I could never complete the mission of obtaining a cloaking device that enabled me to proceed any further. When I was at the UKGE in the special press only viewing, I ran into a table with a big Elite logo plastered on its banners so I had to investigate. 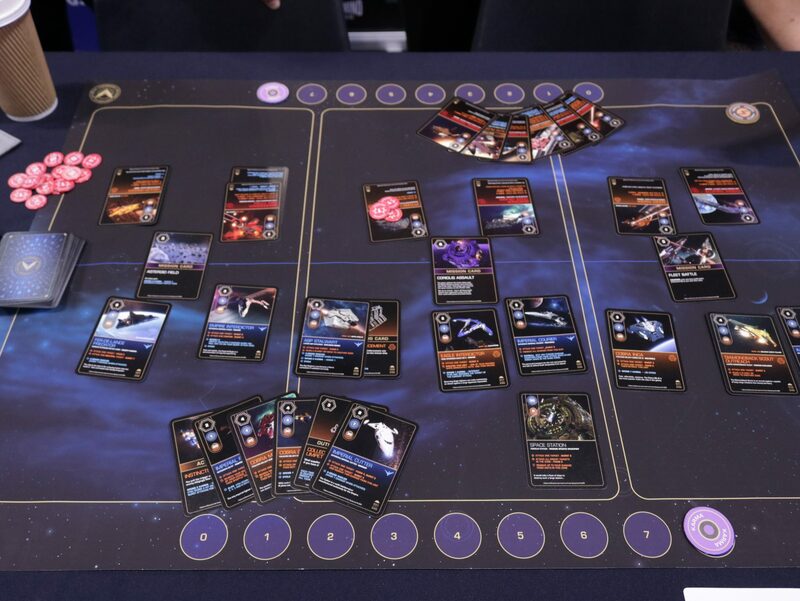 Spidermind games have released a role playing game in the Elite universe and are running a crowd funding campaign to create an a two-player card game. I had a look at the cards and saw a number of my favourite ships turned into cards. Waves of nostalgia washed over me. The design and artwork of the cards is amazing! 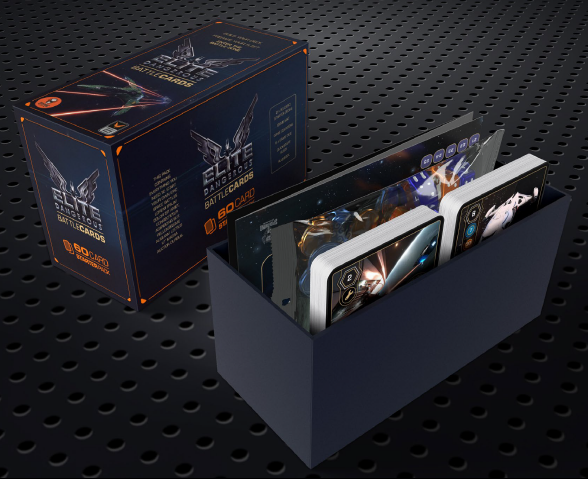 Elite the card game. A photo I took at the UKGE. The mat is part of the game. From what I can gleam this will be a card game. You face-off in a head-to-head battle with an opponent. There are now various factions or groups that you will be playing. The Empire or Federation for now, from what I can see. 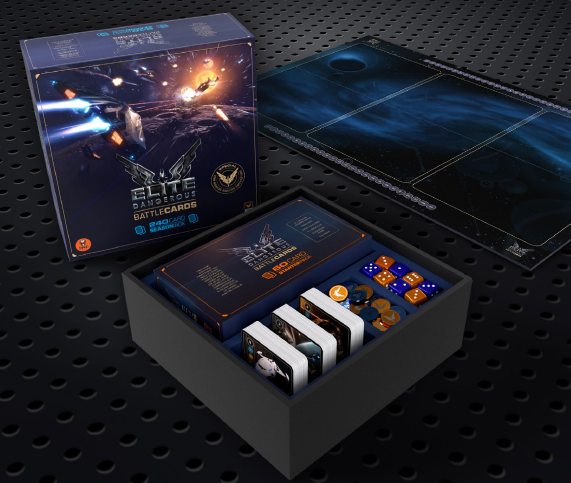 There is a starter box and season one box set. 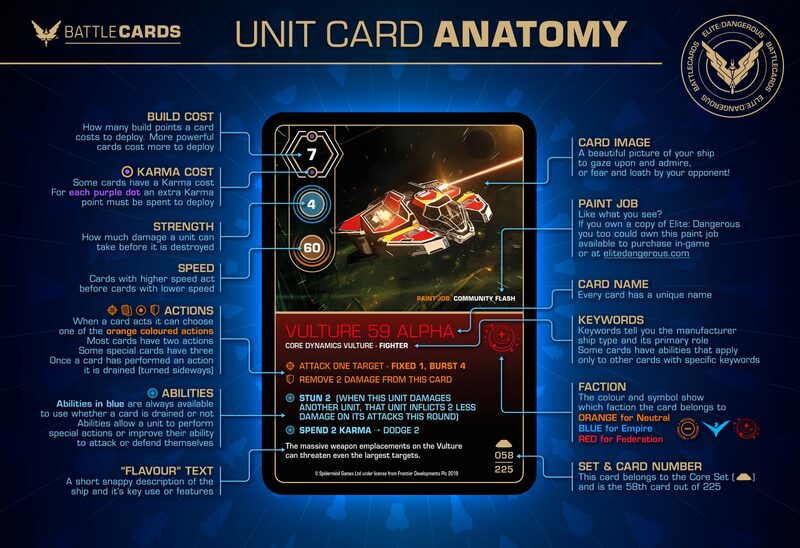 This game is an expandable card game, you can buy more factions as they are released. Phew, for a second I thought it was going to be a trading card game. That would curb my interest more than a tad! 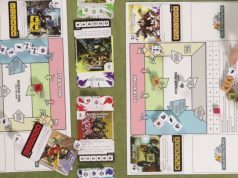 When I met Spidermind Games, I was asked if I would review a prototype and then the final product. I was glad to, but former option has fallen through otherwise I would be playing the game, writing a review and recording a video. I would be telling you if this game truly is ‘elite’, ‘competent’ or ‘harmless’. Player verses player games are one of my favourite genres. If I have a friend over there is a high chance I will crack open Star Realms, Lightseekers or Dice Throne. 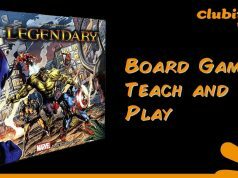 Dice masters is another favourite that will hit the table if given half the chance. A season one box mock-up. 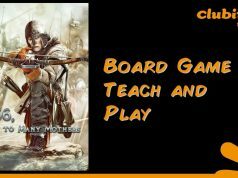 If this article has caught your interest and you wish to back this game go here. Many thanks to Spidermind games for providing the images and their co-operation.